In all those years working as a tour guide I discover something. . . Quito has much more to offer than a standard 3 hours itinerary. . . Quito is more! 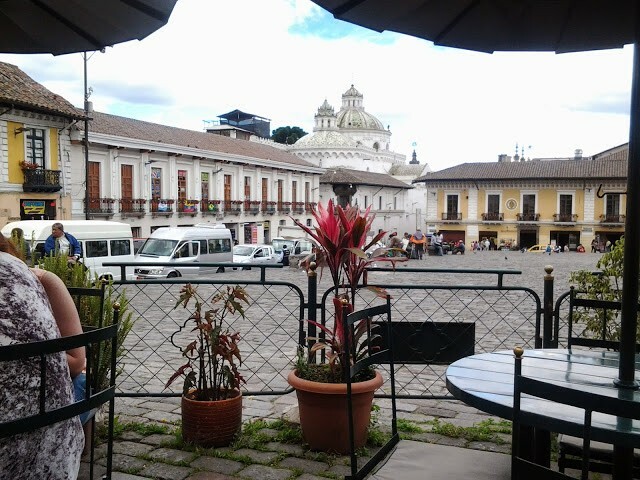 Quito is Gastronomy, Art, People, Monuments, Hidden Corners like convents, houses, churches, and markets. Quito has approximately 44 churches, convents, and chapels in the old city, in 320 hectares. It's a very long city (55 kilometers long times 12 kilometers wide) with over 3 million inhabitants. One the most amazing example of our Spanish Heritage is the Baroque church of "Compañia de Jesus", a golden Church in which many architectural styles (classic, syncretism, quiteño baroque and Arabian) converge. Other famous churches are San Francisco, The Cathedral, La Merced. Quito is the highest capital in world, it is located at 2.800 meters osl or 14.200 f. Quito is a city we have the 4 seassons along one day, wake up like speing, at 10 is warmmer like summer, 3 p.m is autumn and 6 sometimes is rinning like a winter. Let's Discover Quito's hidden secrets together!.